We are now delighted to announce a half day MasterClass given by one of KM’s top thought leaders, Paul Corney. The Masterclass will be held between 2.30 and 5.30pm on Monday 13th November. The fee for HKKMS/KMIRC members will be HK$800, and HK$1200 for non-members. Places are limited. Please complete the registration form below to reserve your place. Further details can be found below. Organisations that set out to create an effective knowledge sharing environment will need to overcome many barriers. Most are behavioural and societal, encompassing leadership and engagement. The role of the HR & IT professional in this process is key. In facilitating this session Paul will draw on research conducted for his co-authored book “Navigating the Minefield: A Practical KM Companion” and numerous assignments carried out in Asia, Middle East and The Americas. He will identify potential drivers for the creation of a knowledge sharing environment, examine the pitfalls that are likely to arise and suggest how HR & IT can support such an environment. capturing experience and knowledge from staff close to retirement, completing a project assignment, whose job might be disappearing or who are leaving to pursue another career so that their knowledge (and networks) are not lost. 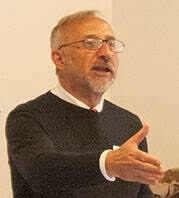 Paul J Corney is a well-known figure in the KM world, a prominent keynote speaker and Masterclass leader. One of the first ‘Knowledge Managers’ in the City of London in the mid 90’s, he has since advised global businesses on the creation and implementation of Knowledge Management programs. Paul is also a member of the British Standards Institute Committee that is helping to create an international (ISO) standard for Knowledge Management. 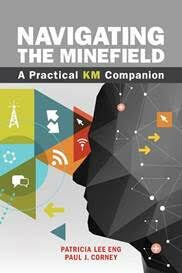 He is co author of “Navigating the Minefield: A Practical KM Companion” published in April 2017 by American Society of Quality (ASQ) and a contributor to “Making Knowledge Management Work in Your Organisation”. He blogs at www.knowledgeetal.com and publishes in Business Information Review.